The Olpererhütte is closed. 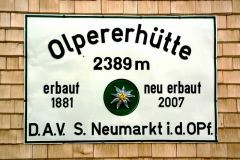 The Olpererhütte-team and the Section Neumarkt i. d. OPf. will be avaiable again for you on „2.389 m über dem Alltag“ in the end of May 2019. We are looking forward to your visit during the summer 2019 and wish you a nice wintertime. 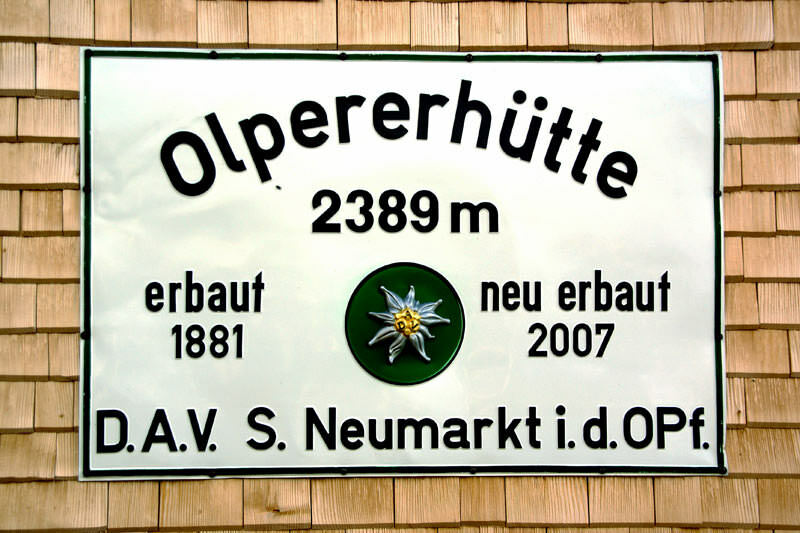 Welcome to "2,389 meters above the daily routine" on the Olpererhütte - our home above the Schlegeisspeicher in the Zillertal Alps. . 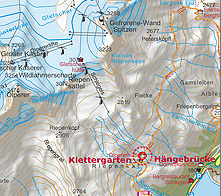 The Olpererhütte offers every one a starting point to the right trail: As a milestone on the Zillertaler Runde, as the beginning of a tour to the highest peaks of the Tuxer Alps, the 3,476 m high Olperer or one of its mighty neighbour peaks, or as a starting or ending point of the Neumarkter Runde, a beautiful mountain trail. Those who stay overnight or just visit to enjoy the day, will also appreciate the comfort and the excellent local cuisine.